The first of Audi V10s arrived in 2003 with the Le Mans Quattro, a cornerstone for the brand that bridged the classic TT era to the modern R8 league. Since then, the R8 has had multiple treatments, both, as spin-offs as well as mainstream production models. 10 years later, Audi is paying homage to its first R8 V10 with an ultra-exclusive R8 V10 ‘Decennium’ edition limited to just 222 builds. The title ‘Decennium’ simply translates to ‘decade’ from Latin. Audi’s new trademark Daytona Grey matte finish comes in a slightly darker tone with the Decennium edition. The R8’s headlight deeps to dip towards the grille, creating a much more aggressive silhouette along with its sporty bumper. Grounded by solid 20-inch wheels, its rims get a special bronze finishing treatment to contrast the Daytona tint, a newly introduced novelty by Audi. 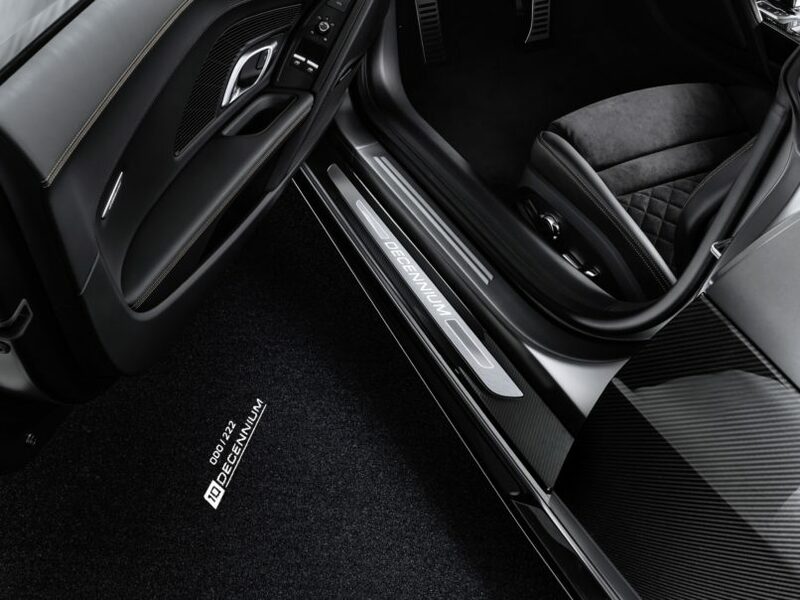 Inside, the Decennium is draped in all black with gloss carbon trim, diamond-pattern seats with contrast stitching in copper and an Alcantara steering wheel. As far as its power goes, it embraces a naturally aspirated V10 Plus that isn’t shy of producing 600+ HP with its 5.2 litre guzzler. Audi also promises 0-62 mph in 3.1 seconds allowing it to peak at 205 mph. As with all R8s, the Audi virtual cockpit and Multi Media Interface come stock. 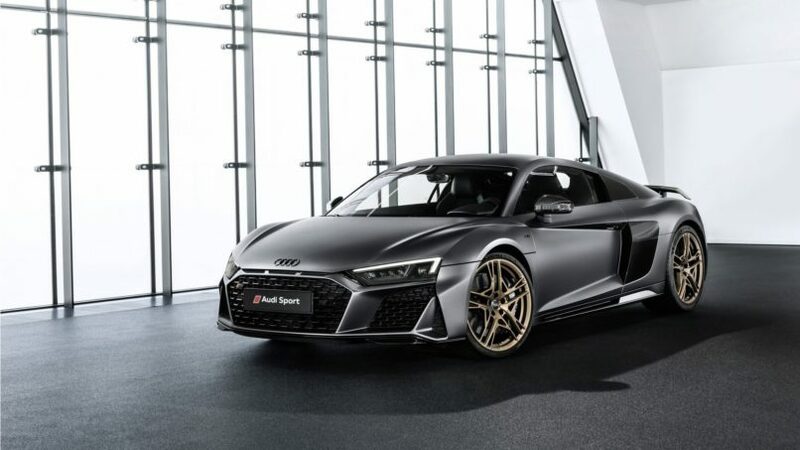 The Audi R8 V10 Decennium edition is limited to a mere 222 builds out of which, just 10 will be reserved for U.K and Asia. Deliveries are projected for the second quarter of 2019. In its native Germany, the Decennium is priced at €222,000 which equates to Rs. 1.79 crores in India. The classic R8 V10 Plus however, plates in at €179,000 which bumps up to 2.47 crores when matched with Indian price points. That’s Rs. 36 lakh more for a piece of Audi memorabilia, and it’s worth it.